HULK WROTE A BOOK! 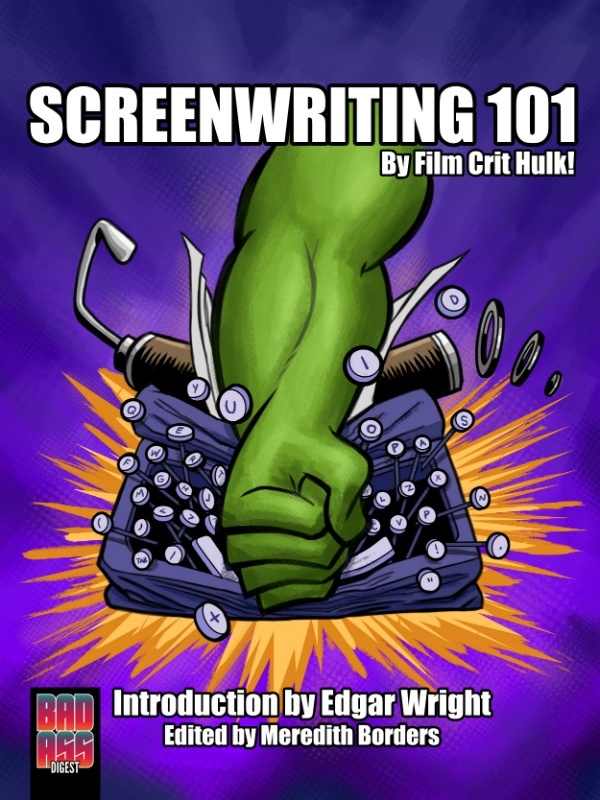 “SCREENWRITING 101” AVAILABLE NOW! – FILM CRIT HULK! HULK BLOG! Congratulations Hulk, your articles are amazing. I´m a writer of shorts stories and coordinator of a creative writing workshop in my hometown in Argentina. Your work has been a source of inspiration for me, both for my personal production and in the classroom. So many times I came across the same problems you talk about, albeit in a totally different context. Let me know if you´re interested in translating the book into spanish, i´d be happy to collaborate. Finally! Instant purchase for me. Any chance of a print-on-demand version coming up? I’d like to gift this to a few friends of mine, but I don’t want to give them Kindle versions. Thanks for the inspiration, Hulk. This will be a constant companion. I’m so glad you made a book. I’m not even interested in writing a screenplay (a book – weelllll, maybe) but just reading your book, along with your blog, has already given me so many insights into how to really watch and appreciate a movie (or tv show or game). If I ever do get around to writing something it is already going to be 100% for having read your words. Instant buy for me also. I write and tell stories for one simple and humble purpose. To entertain my kids (19, 17, 12 and 11). This book is really helping me hone my craft and take my tales to the next level. Thank you very much! Yep, and got mine! Some of the best screenwriting advice I’ve seen.